FLASH!! —Arizona Republican Governor Jan Brewer has VETOED the controversial SB 1062 touted as the “Religious Freedom Bill” passed by the state legislature last week. Opponents raised concerns that if enacted into law it would establish “State Sanctioned Discrimination” against LGBT and others. The bill would have provided business owners a legal defense for refusing to serve someone based on the owners “sincere religious beliefs.” There has been growing opposition all wek from gay activists such as George Takei (who played Sulu on the original Star Trek) to the NFL who was about to consider moving the 2015 Super Bowl from Arizona elsewhere if the bill was signed by the Governor. Brewer was at the Governor’s Conference in Washington when the legislature passed the bill. She returned yesterday and told reporters that she would consider both sides on the controversy before making a decision as to what she would do. This afternoon the Governor made the choice to veto the legislation. In the past couple of days a number of state Republicans have “abandoned ship” even though they voted for the bill amid the growing national outcry. Some were even urging the governor to veto it. State Senator Steve Yarborough was the primary sponsor of the bill and defended it in a meeting with Brewer. Yarborough said he just wanted legal protections for people who choose to assert their religious beliefs when it comes to providing services to gays and lesbians. Democrats in the legislature all voted against the bill and warned Republicans that it would be viewed as a discrimination bill against LGBT people and that there would be a national outcry. They also warned that passing the legislation could cost the state millions in lost revenue due to cancellations of tourism, conventions, and the Super Bowl. Republicans paid no heed to them. The vote was mostly along party lines with only 2-3 Republicans voting against the bill last week. Republicans control the legislature. Brewer said in a Tweet yesterday that she intended on “doing the right thing.” State Senator Bob Worsley of Mesa pointed out that even though the bill had not yet been enacted into law it had already damaged the state due to the growing outcry across the nation. It is highly doubtful that had she signed the bill the courts would uphold it and this was yet another aspect the governor must have considered in making her decision to veto it. Governor Brewer made the announcement this afternoon in Phoenix at the State Capital. During her announcement the Governor said the measure had the potential to create more problems that to solve. The Governor went on to say that the legislation did not address a “specific or present concern related to religious liberty.” She noted that the bill was “broadly worded and could result in unintended and negative consequences” for the State of Arizona and residents. Hopefully so Governor but I fear a great amount of damage has already been done. Ultra-Conservatives got their message across LOUD AND CLEAR. Once again Arizona has been given a black eye as it got over SB 1070 which was the anti-immigration bill targeting Hispanics. This is an election year in Arizona and hopefully the good voters in the state will make massive changes in the composition of the state legislature that more accurately reflects the people of Arizona instead of neo-con hardline views. 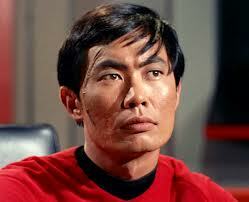 George Takei Issues Open Letter to Arizona over SB 1062 !! Congratulations. You are now the first state actually to pass a bill permitting businesses–even those open to the public–to refuse to provide service to LGBT people based on an individual’s “sincerely held religious belief.” This “turn away the gay” bill enshrines discrimination into the law. Your taxi drivers can refuse to carry us. Your hotels can refuse to house us. And your restaurants can refuse to serve us. Kansas tried to pass a similar law, but had the good sense to not let it come up for a vote. The quashing came only after the Kansas Chamber of Commerce and other traditional conservative groups came out strongly against the bill. But not you, Arizona. You’re willing to ostracize and marginalize LGBT people to score political points with the extreme right of the Republican Party. You say this bill protects “religious freedom,” but no one is fooled. When I was younger, people used “God’s Will” as a reason to keep the races separate, too. Make no mistake, this is the new segregation, yours is a Jim Crow law, and you are about to make yourself ground zero. This bill also saddens me deeply. Brad and I have strong ties to Arizona. Brad was born in Phoenix, and we vacation in Show Low. We have close friends and relatives in the state and spend weeks there annually. We even attended the Fourth of July Parade in Show Low in 2012, looking like a pair of Arizona ranchers. The law is breathtaking in its scope. It gives bigotry against us gays and lesbians a powerful and unprecedented weapon. But your mean-spirited representatives and senators know this. They also know that it is going to be struck down eventually by the courts. But they passed it anyway, just to make their hateful opinion of us crystal clear. So let me make mine just as clear. 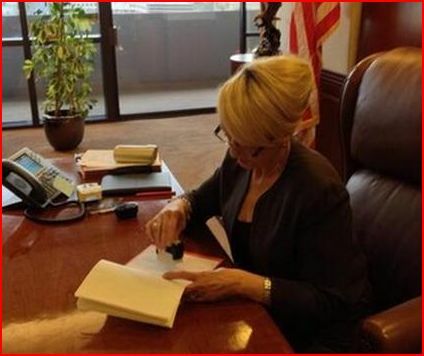 If your Governor Jan Brewer signs this repugnant bill into law, make no mistake. We will not come. We will not spend. And we will urge everyone we know–from large corporations to small families on vacation–to boycott. Because you don’t deserve our dollars. Not one red cent. And maybe you just never learn. In 1989, you voted down recognition of the Martin Luther King holiday, and as a result, conventions and tourists boycotted the state, and the NFL moved the Superbowl to Pasadena. That was a $500 million mistake. So if our appeals to equality, fairness, and our basic right to live in a civil society without doors being slammed in our face for being who we are don’t move you, I’ll bet a big hit to your pocketbook and state coffers will. Personally I think the following words illustrate the REAL reason Arizona passed this legislation and it is to let it be known that Arizona dislikes gay people. Like Takei says they legislators know full well the courts will strike it down but they got their message out which appears to be “If you are LGBT stay out of good-ole boy Hillbilly Arizona.” PROBLEM is there ARE LGBT people living in AZ paying taxes and being good citizens. What comes next? Legislators pass a bill imprisoning LGBT or pass a bill giving them 24 hours to leave the state or face the NEW INQUISITION? I heard several Arizona state Senators and Reps today say that when they voted for the bill they were not fully informed of the possible ramifications and they are now calling on Governor Brewer to veto it even though they voted for it. WTH? Let me see if I got this straight……you are supposedly an educated elected legislator and you need someone to tell you the possible ramifications over a bill like this? You mean you couldn’t figure it out yourself? Just what did these legislators think the ramifications would be? Frankly, I don’t believe them as I think that those who voted for the bill thought nothing would happen and now that a fire has been lit in Arizona they are jumping ship trying to avoid controversy…..again! And btw the Democrats in the legislature WARNED both House and Senate members in debates what the ramifications of passing this bill would be and everything they warned about has now come to pass!! But the GOP in Az went ahead and passed it anyway and, as I stated, just to get their hate-filled, prejudice good-ole boy opinion out to LGBT loud and clear. Every legislator who voted for this should be IMPEACHED as obviously they have now proven they are incompetent and lack any foresight whatsoever! And if Brewer signs it into law she ought to be impeached as well. Jim Crow Law? You bet! The New Segregation? That’s exactly what this is! Now shall we discuss a bit of theology and What Would JESUS Do???? The Arizona State Legislature has unfortunately once again passed a piece of legislation that promotes hatred and discrimination against yet another certain minority group. In this case it is gay and lesbian people. It appears that state legislators have followed in the footsteps of their predecessors who enacted the now infamous SB 1070, the “Gestapo Bill,” into law which promoted discrimination against Hispanics within the state. Supporters of SB 1062 claim that the bill is about protection and freedom of religion and religious beliefs. Yet, what the bill actually establishes is State Sanctioned Discrimination on a very wide scale and in ways that can’t even be foreseen yet. Granted people have the right to hold whatever religious beliefs they desire but when they run a public business in the public sector religious beliefs take a backseat, that is, IF they wish to remain in business for long. Clearly, SB 1062 is a direct attack on gay people in the state and if signed by Governor Brewer it will open up a Hornet’s Nest for the state and its economy as was opened when Arizona refused to accept the MLK Holiday. In that matter the Super Bowl moved from Arizona to Pasadena and the state lost millions of dollars in revenue due to canceled conventions and loss of tourism. Such losses will only be repeated if this bill is signed into law next week let me assure you. Government representatives and elected officials have a legal and constitutional duty to protect the civil and human rights of ALL people despite those people’s lifestyles, skin color, gender, gender preference, religion, or anything else. Democratic government simply cannot chose which people to protect and which people to persecute as such behavior by government typically happens in non-democratic governments rooted in tyranny and dictatorship. Surely, Arizona does not pride itself nor does the state which to be viewed by others as one that supports tyranny or persecution of any kind. Yet, the reputation Arizona is creating by its own hand is alarming to say the least. The state is getting the reputation of being run by a government bent on oppression, tyranny, and discrimination. Growing numbers of people are beginning to conclude that Arizona is a state cares nothing for civil or human rights and that reputation goes far beyond worries that SB 1062 might cause the state yet another black eye. I cannot help but wonder why state legislators are not far more concerned with job creation and growing Arizona’s economy more-so than they are with consistently enacting bills and laws that are clearly racist, sexist, and discriminatory. Further, first it was Hispanics and now its gays that are the targets of the state legislature. So what group is next? Religious minorities? The Disabled or Marginalized? Who is the next target of a legislature that clearly has chosen to support discrimination and violate basic human and civil rights? I strongly urge Arizona Republican Governor Jan Brewer to VETO SB 1062 so that it never sees the light of day as a state law. Her signature enacting this archaic bill supporting hatred and discrimination will only serve to let the nation and the world know beyond any doubt that there is something VERY WRONG in Arizona. It is astounding that in this 21st Century is appears Arizona is stil trying to live in a pre-1960s, pre-Civil Rights Movement era. With this kind of mentality in the state it should be no surprise that corporations avoid basing themselves in the state along with other industries. Google Fiber is the latest big corporation that may base itself in Arizona and create hundreds of good paying jobs for people in Arizona. However, after passage of this bill I strongly suspect they may be reconsidering their decision as no corporation wants to be associate with a state that is so clearly racist and sexist. There are those in Arizona who oppose gay marriage and there are those who support it and this is essentially what SB 1062 is aimed at. Yet, Arizona voters have already voted for an amendment to the state’s constitution forbidding gay marriage so how much more is needed? I see no purpose whatsoever why this bill was even considered by legislators and I am both shocked an appalled that it even made it to the floor much-less passed and now sits on the Governor’s desk! As a result there is a growing outrage and outcry against Arizona once again and the Governor has even decided to sign or veto the legislation. Clearly the Arizona legislature has greatly offended not only gay people but growing numbers of people including business owners across the country. The wisest thing to do at this point is for the legislature to repeal this ridiculous bill ASAP and attempt to save what face they can for Arizona. I really don’t think Arizona needs to promote its reputation as a backward, anti-human rights state. It’s time for Arizona’s good-ole-boys and gals to move into the 21st Century and out of the 1800s. Arizona could be such a strong national leader but sadly it has chosen not to be. Arizona could be a beacon for human and civil rights and have a fantastic growing economy but, sadly, this seems to be NOT what government in Arizona desires. Instead they’ve chosen the opposite which I don’t understand at all. Arizona has many good things to offer but when people see things like SB 1062 they have second thoughts and want nothing to do with such an entity. Thus, the state, the economy, and all residence of the state suffer. The days of fostering hatred and discrimination in ANY form must be ended today. Hate never achieves anything worthwhile. Discrimination only serves to make a group of people into second class citizens and deny them their God-Given human rights. I strongly urge Governor Brewer to immediately VETO SB 1062 as signing such an archaic act into law will only create problems for the state which none of us can yet imagine especially in terms of the economy and civil rights. Arizona Republican Governor Jan Brewer who is in Washington DC says she’ll be returning to Arizona and making a decision on whether or not to sign SB1062 into law or veto it. The governors aides said she was fully aware of the mounting controversy in the state over the legislation and across the nation. Brewer said she knows similar measures have failed in other states and such measures are controversial. SB1062 was passed by the Arizona legislature this week and is being touted as the “Religious Freedom Bill.” Supporters claim the law would guarantee a persons right to freedom of religion and allow them to refuse services to gays and lesbians if those lifestyles conflict with their religious views. What the law would do is to provide a legal defense for people sued for discrimination. Opponents say the law is “State Sanctioned Discrimination” not only against gays and lesbians but also against other people who do not agree with ones religious beliefs. What SB1062 really is is yet another can of worms opened up by the State of Arizona as was the now infamous SB 1070 the “Gestapo Law” which was enacted in the state against Hispanics. Arizona is not big on civil rights nor human rights and the state has a long history of supporting discrimination, racism, and sexism. It was the last state in the union to approve rights for Women. It was one of the last states to accept civil rights reforms for Black Americans and other minorities. It was the last state to accept the MLK Holiday and only did so when legislators discovered their refusal to accept the national holiday was costing the state billions in lost revenue in the forms of conventions and tourism. It also cost the state the Super Bowl which was moved to Pasadena. The 2015 Super Bowl, ironically, is set to take place in Arizona and Google Fiber is looking at placing its headquarters in the state which would mean major good paying jobs for workers in the state. Don’t be surprised if the Super Bowl bails once again from AZ and Google Fiber decides to go elsewhere in the country. Since the bill’s passage this past Thursday the controversy over it has been increasing not only in Arizona but across the nation with many people feeling that if Brewer signs it into law it will give the state yet another “black eye” and cause yet another economic backlash against the state. With a struggling economy the state cannot afford another economic backlash as was seen when Arizona rejected the MLK Holiday. However, the current legislature in Arizona seems unconcerned about such a backlash and it appears legislators in the state would rather focus on promoting discrimination, racism, and sexism rather than job creation and economic development. Just what they are thinking in AZ is anyone’s guess. Arizona Passes STATE SANCTIONED DISCRIMINATION BILL!! The bill is SB1062 and it originated in the State Senate. The Arizona House passed it yesterday. The bill is being called the “Religious Freedom Bill” although those who oppose it are calling it the bill of State Sanctioned Discrimination. SB1062 is aimed at gays and lesbians, clearly, and it appears to be Arizona’s knee-jerk reaction to gay marriage. What the bill does is it provides a defense for people who discriminate or refuse services to gay people because homosexuality opposes their religious beliefs. But, if you study the bill it soon becomes clear that this bill if enacted into law could apply to any group just not gays and lesbians.